Located on Peninsula Square in the centre of London, The O2 hosts must see events from the very best in pop, rock and classical music. The stadium attracts huge acts such as Kings of Leon, The Rolling Stones, Beyonce and many, many more. It also hosts a variety of sporting events such as the 2012 London Olympics, darts, gymnastics and wrestling. 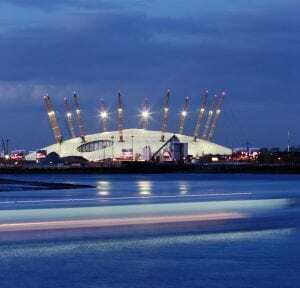 The O2 Arena also plays host to a range of entertaining activities for the whole family including Up at the O2, Cineworld, Sky Studio and a range of popular restaurants and bars.